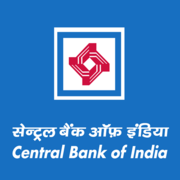 Central Bank of India Recruitment 2019 - Job notification for FLCC Counselor & Director Posts in Central Bank of India, Dhule, Jalgaon, Maharashtra on Contract Basis. Applications are invited by Central Bank of India on or before 27 Apr 2019 for 2 vacancies. 2. Candidate should have retired on VRS or on attaining superannuation with minimum 20 years of service of which at least 15 years in Officer Cadre. Eligible candidates may send their application in prescribed format (attached below) to ‘Senior Regional Manager, Central Bank of India, Regional Office, P-63, MIDC, Satpur, Nashik-422007’ Super scribing “Application for the post of Recruitment as Counselor of CENT FLCC- Jalgaon and FLCC – Dhule on contract” on or before 27 Apr 2019, along with copies of all relevant documents & certificates. Central Bank of India Recruitment 2019 - Job notification for Incharge of FLC Post in Central Bank of India, Kerala on Contract Basis. Applications are invited by Central Bank of India on or before 06 May 2019 for 1 vacancy.